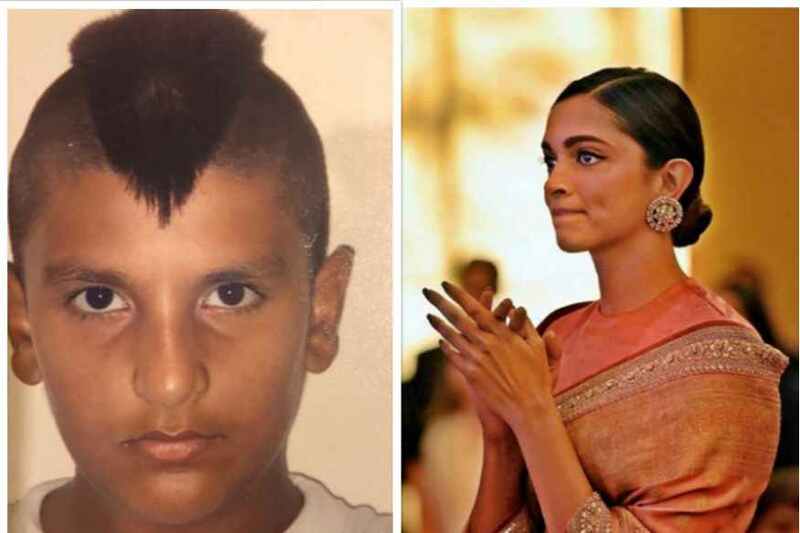 A throwback image of Bollywood star Ranveer Singh sporting a funky mohawk hairdo during his childhood, elicited various emotions among his celebrity friends, with Deepika Padukone expressing disbelief with a big "Noooooooo". On Sunday, Ranveer, known for his one-of-a-kind and quirky style sense, uploaded the photograph on Instagram, writing: "Avant Garde Since 1985." While Deepika reacted to the photograph by writing "Noooooooo" along with three see-no-evil monkey emojis, veteran actor Anil Kapoor found his look daring. "I told you at that party when I first saw this look, and I'll tell you now... You will go far and roar, Tiger. The roaring has just begun! #DaringSince1985," Anil wrote to Ranveer, who played his on-screen son in "Dil Dhadakne Do". Ranveer's "Padmaavat" co-star Aditi Rao Hydari found his look epic, while actress Diana Penty found it amusing. Cricketer Shikhar Dhawan poked fun at Ranveer saying the photo gives a hint of how much of a troublemaker he would have been as a youngster. Actor Ayushmann Khurrana compared Ranveer's mohawk look with that of Gulshan Grover in the movie "Vishwatma", and Arjun Kapoor was reminded of actor and wrestler Mr T's iconic mohawk.